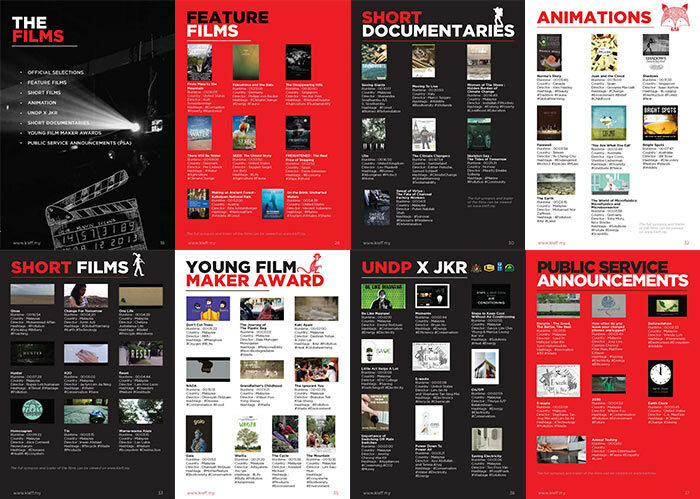 The 9th KL Eco Film Festival (KLEFF) is happening this month at Publika Solaris from the 14th to 16th October 2016. This year’s highlights include the Green Market, the Film Screenings, fun and engaging workshops on sustainable living, nature-themed photography exhibition and workshops and amazing performances by local theatre groups and musicians. Don’t forget to check out the Screening Schedule and get a E-ticket today. Reduce your paper consumption by opting to download the PDF version of the KLEFF Guide Book here. Keep the digital version in your pocket! All screenings at KLEFF are free (donations are welcomed) however the Black Box at Publika Solaris has limited theatre seats. So we highly encourage you to register for an e-ticket to guarantee yourself a spot. Check out the screening schedules for your favorite films here. KLEFF is not just about the awesome films. It’s also about inspiring you to learn from environmentalists, academics, film makers, and the arts to take sustainable steps in your daily lives. So we have lined up some great workshops to get you started. Whether it’s about starting your own hydroponics garden confidently, or making environmental impacts through films, KLEFF has a workshop for everyone including children! So check out these more than 11 workshops and sign up for them today. Come and check out a wide range of MyHijau certified green products and services at their pavilion in the Boulevard.